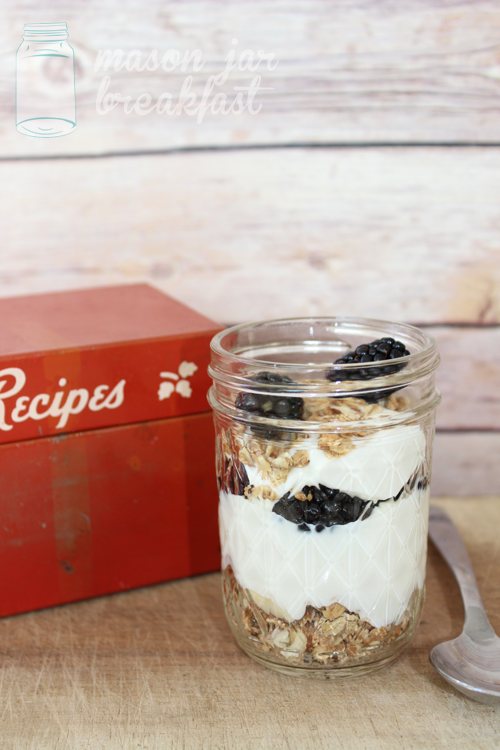 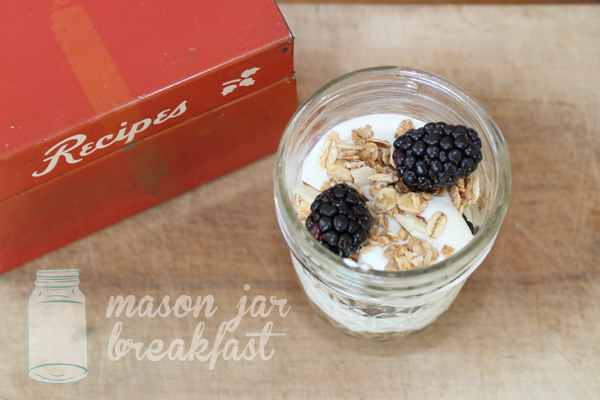 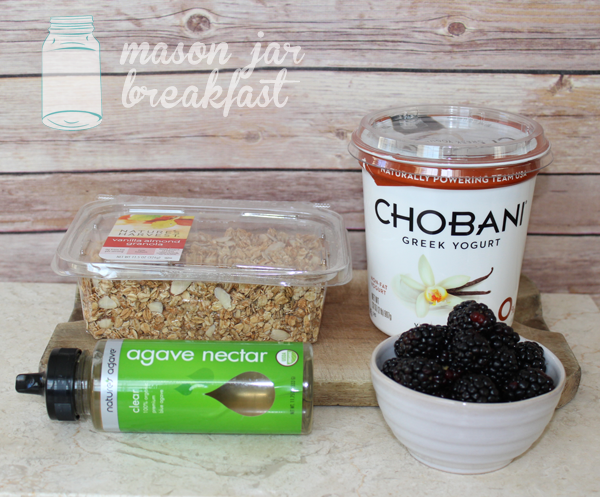 Layer blackberries, greek yogurt and granola in a half pint mason jar. 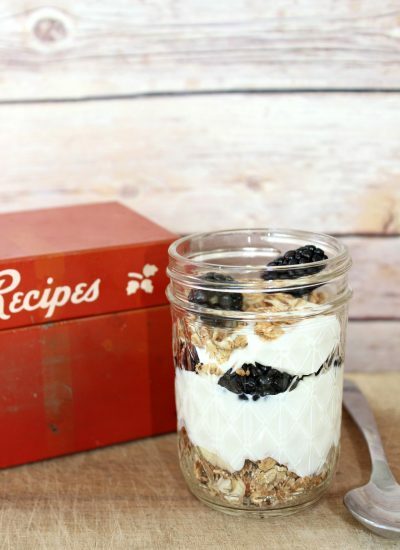 Then top with a swirl of Agave Syrup. 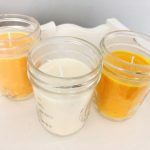 What size mason jars do you recommend?